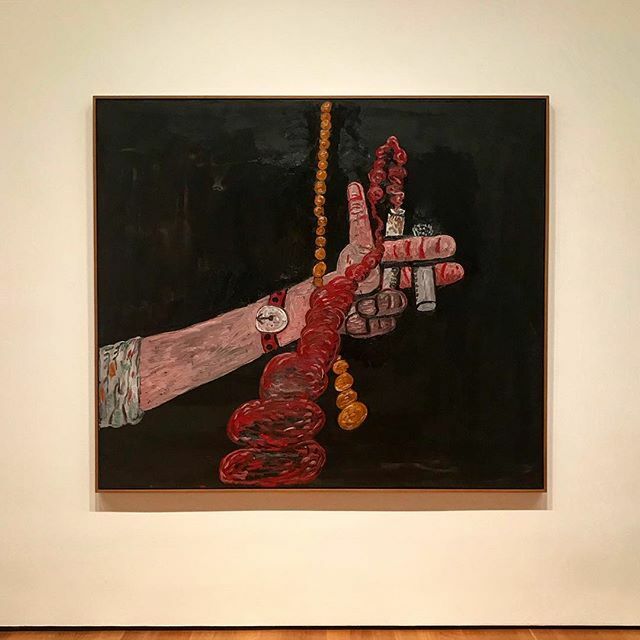 Guston's later work was outside even the collective artist outsiders of New York City in the 70s. It stood alone. Philip Dodd, head of London's Institute of Contemporary Art is quoted as saying," I can't think of any other artist who is so cerebral and so cartoonish." 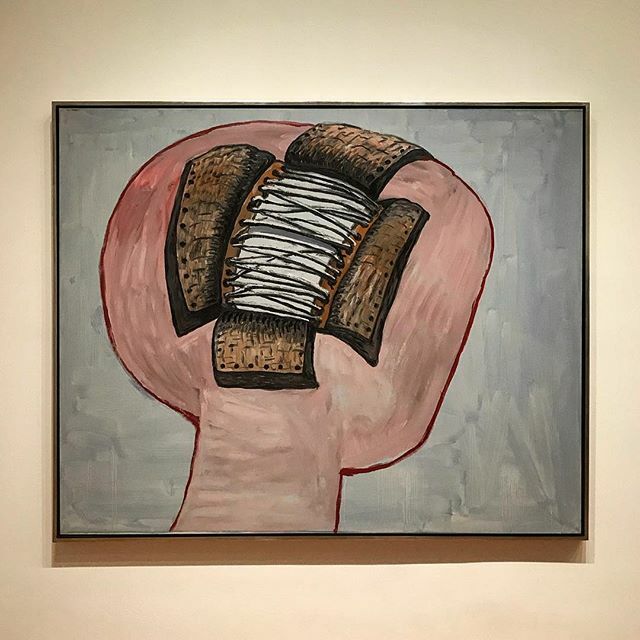 On a personal note, Guston's art was one of two or three artists I was drawn to early on while walking through the halls of the St Louis Art Museum. I knew nothing of his background, only that his pictures were both enticing and disturbing. The imagery of lightbulbs in empty rooms, junk and shoe piles rendered in sticky pink and reds were raw, but precise enough to touch upon some universal truth deep inside my own teenage psyche that I didn't yet understand, except to say I found them compelling. These paintings were never afraid and seemed much wiser than a first impression museum glance. It was like looking into the brain of another person and catching a glimpse of connection and nod of understanding of that which cannot easily be explained with words. Thanks as always to @garysilverlake for the photos. These works are on display as part of a wonderful exhibition called "The Long Run" at The Museum of Modern Art through November 4th, 2018.